Thanks to the recent spate of celebrity nuptials, Indians are spending big on exclusive destination weddings. While not everyone can do a grand Italian affair a la Virat-Anushka or Ranveer-Deepika, Sri Lanka is second to none when it comes to dreamy ceremonies in a picture-postcard setting. Fast emerging as a prime destination for both weddings and honeymoons, our beautiful neighbour has a buffet of experiences to offer: hot-air balloons, elephant rides, dense jungles, private beaches and sunset cruises. All of this at possibly lower budgets than even in India—what’s not to love? When the wedding is outside your hometown, your invitee list narrows down considerably. Hotels in Sri Lanka offer excellent all-inclusive packages and some even specialise in hosting Indian weddings. With its geographical and cultural proximity to India, Sri Lanka does not lack Indian food, priests or the materials needed for the rituals. Organising a wedding in Sri Lanka is almost like doing it in a different Indian city, except that it is still abroad and exotic. A leading name amongst resorts that can customise a dream-come true Sri Lanka wedding is Jetwing, a group of luxury hotels. 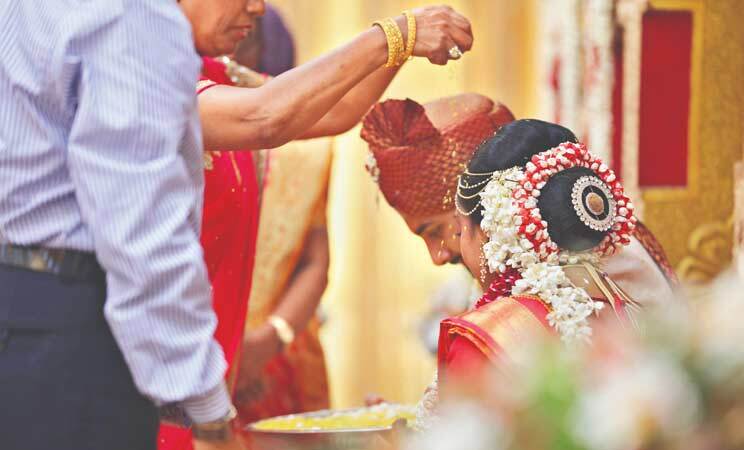 ‘‘In 2011, we had the opportunity to organise a grand and enchanting celebration where the family and friends of the couple occupied both Jetwing Blue and Jetwing Beach in Negombo. Every aspect was tailored to the couple’s preferences, from food to décor with stunning views of the Indian Ocean as the backdrop to the special occasion,’’ says Hyacinth Gunawardena, general manager of Jetwing Beach and Jetwing Blue, who has supervised nearly two dozen grand Indian weddings at Jetwing Hotels. Beaches are clearly one of the USPs of Sri Lanka. Negombo, a smooth 30-minute drive from Bandaranaike International Airport in Colombo is both convenient and beautiful. As the sun casts an orange glow across the Indian Ocean, families and friends welcome the couple for a beach cocktail party with champagne and canapés, exotic drumbeats fill the air. The reception is followed by a party, with DJs belting out your favourite numbers under the stars.